I’ll add yours here if I missed you! After reading this heartbreaking story, it made me think of the newest generation in our world. It doesn’t matter what continent they live on, whether they’re rich or live in poverty, or if they even live with their birth parents. I’m positive they would share in the cry for peace and no more use of nuclear weapons. I first came across THE LAST CHERRY BLOSSOM after reading a review from Patricia Tilton over at her blog, Children’s Book’s Heal. I added it to my TBR list and hoped to read it sometime this year. A short time later I received the book thanks to a gentle nudge from the author and her publisher. It didn’t make it any easier to read the story when I knew that a horrific bomb would drop on Hiroshima, changing the lives of every resident and the characters I’d spent a few hours getting to know. 80,000 died within hours and 140,000-150,000 died within five years as a result of the atomic bomb. But there is hope from this tragedy, hope we can learn to treat others with respect and chase away the desire for any more wars. This is a perfect story to place in classrooms studying World War II. It’s a front row seat to the atrocities innocent people endure when war takes center stage. The haunting prose will for sure touch both middle grade readers and adults. I can certainly attest to that. FULL PLOT (From AMAZON) Yuriko is happy growing up in Hiroshima when it’s just her and Papa. But her aunt Kimiko and her cousin Genji are living with them now, and the family is only getting bigger with talk of a double marriage! And while things are changing at home, the world beyond their doors is even more unpredictable. World War II is coming to an end, and Japan’s fate is not entirely clear, with any battle losses being hidden from its people. Yuriko is used to the sirens and air raid drills, but things start to feel more real when the neighbors who have left to fight stop coming home. When the atomic bomb hits Hiroshima, it’s through Yuriko’s twelve-year-old eyes that we witness the devastation and horror. The additions after the end of the story were interesting and welcome. This included Kathleen’s tender Afterword, a bibliography of other books written on the subject, a glossary of Japanese words used in the story, and statistics about Hiroshima. Yuriko makes the perfect narrator. She worries about all the same things girls her age today worry about: family, friends, and school. I couldn’t come up with a better way to tell this story. Instead of reading a fact based article, History comes alive here. Whether this topic is new or old for you, you’ll leave with new knowledge. Each chapter begins with a radio transcript, words form a war poster, or newspaper headline. They set the atmosphere for what you were about to read. Chilling and effective. I kept wondering how the author was going to end Yuriko’s story. There were many directions possible but the one chosen couldn’t have been better. It left an image embedded deep in my heart. One of the reasons that I chose not to start THE LAST CHERRY BLOSSOM on the day of the bombing, but instead give the reader a glimpse into Yuriko’s family life first, was to show readers that even though Yuriko lived in Japan she still had the same love of family, fear of losing loved ones in the war, and enjoyed being with her friends. She acted very similar to and had the same emotions as the children in the Allied countries. I hope that by discussing her family traditions and introducing the readers to a culture they may not know much about, I am giving them more than just a couple of paragraphs in a history text-book about the end of WWII in the Pacific. And by the end of the book, they could discover that the people we might see as the ‘enemy’ are not always so different from ourselves. 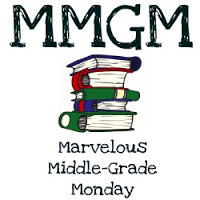 This entry was posted in Reviews and tagged female protagonists, Kathleen Burkinshaw, Marvelous Middle Grade Monday, MG book reviews, Middle grade, The Last Cherry Blossom. Bookmark the permalink. The cover alone is a real heart-grabber. I’d love to read this. I have a copy of this and need to get to it soon. Your review might just be the kick in the pants I need. I will make sure it gets to the top of my TBR pile. Thanks for the post and for listing the MMGM links. Very kind of you. I wish I could get that across to the powers that be: the idea that the “enemy” in any war is not so different from ourselves. Nice of you to include the MMGM links here, Greg! And I remember reading about this book on Patricia’s blog. Sounds intense but important. I must read this. I lived in Japan in the 1980s and a visit to Hiroshima was very moving. Thanks for featuring this one, Greg. This sounds like a very moving book. I think the addition of the newspaper headlines, radio transcripts, etc. sounds really intriguing. Thanks for bringing this to our attention. I added you, Jenni. Thanks for stopping by. I read this last year–checked it out of the library and zipped through it as I couldn’t put it down. This is one of my favorite books from 2016. I have a really good from friend from Hiroshima and that also motivated me to read this. Thanks for posting the links! I am definitely adding The Last Cherry Blossom to my TBR list. I’m always interested in books about WWII. Thanks for the review! This book sounds amazing! I have it, but I really need to read it. Thanks for posting the MMGM links! Oooh, gotta love that cover, and the book sounds just as powerful! Thank you so much for sharing! Hi Suzanne, i added you to the list. Thanks for stopping by. Thank you Greg for such a lovely review. Thank you everyone for your kind words.